Queen Alexandra Elementary School hasn't added a story. This province has children who arrive at school each morning hungry, improperly clothed or without adequate footwear. Not just dozens or hundreds. Thousands. All they can hope for is the compassion of teachers to help them endure these miseries. To their great credit it is not unusual to find teachers and principals attempting to feed and clothe these children out of their own pockets. There was a time the education system could do more for children stricken by poverty but budget constraints have dried up most of that funding. 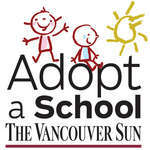 It was for this reason the Vancouver Sun began its Adopt-A-School (AAS) campaign five years ago when it became apparent that some teachers in Vancouver’s inner city schools were buckling under the stress and needed assistance. So we asked our readers to help. The help that materialized from individual and corporate donors was astonishing. It is not possible to put an accurate dollar amount on what readers have contributed because in some cases the help goes directly to schools. All we can say is that almost $3 million has been received here every penny of which is designated for schools across the province. So here we are another year, another appeal for help. But what else can we do? Hunger is incessant. You are only separated from it by thetime since your last meal. And for the poor that gap is often unmanageable. In this campaign there will be accounts from teachers who say they see children arriving at school who have not been fed that morning, have no food to last the day and who will be returning home with no prospect of finding anything to eat there either. It is a description of starvation. How can we ignore it? You will be told of children feeding other children at school splitting their lunches so their classmates won’t be left hungry. This is not something that children should be left to deal with. Canada has a wonderful international reputation for coming to the assistance of countries devastated by natural disasters or conflict and our United Nations commitment is without peer. But we are the only developed nation that does not have a national food program to feed its hungry school children. Regardless of party perhaps our politicians can explain why it’s necessary for children to be feeding other children. This newspaper asked as much in an editorial earlier this year. No one, it seems, is in a hurry to answer. Thanks to the generosity of our readers no school that has asked for help to feed children has been refused. Often they have received more than they sought. 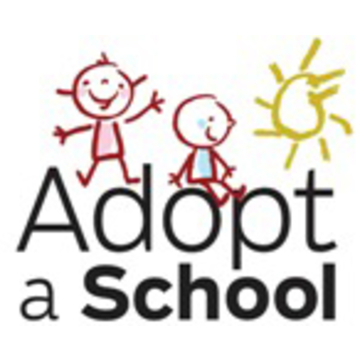 AAS has set up fully funded breakfast programs, has provided money for clothing, shoes and boots, lice kits, transit tickets, field trips, emergency food vouchers to help struggling families over weekends, helped young mothers attending school with their babies. We have equipped school kitchens with stoves and fridges, dishwashers, cutlery, and washing machines, equipped sensory rooms, rebuilt an abandoned greenhouse so it could grow vegetables for low income families, provided computers and other technical aids to special needs children. In short done all we could to alleviate the awful effects that poverty inflicts on our children attending school. This year is no different. Please help. Queen Alexandra Elementary School hasn't posted any updates yet.